RUSH: We’ll start in Menifee, California, with Pat. You’re up, it’s great to have you here. RUSH: Thank you, Rush. Listen, I’m so fed up with this whole government stuff now. They’ve just rolled our president, the one that I voted for. I live in California and I voted for Donald Trump. I’ll never do it again. CALLER: Because he just signed off on $1.3 trillion. And here we are at a $21 trillion-dollar deficit and, yes, I had to put up that with that stuff for eight years with Obama. We shouldn’t have to put up with it with a conservative Republican president or majorities in both houses. But the establishment Republicans and the progressive Democrats, progressive Republicans, they’re rolling us. We are getting rolled. Our country is nowhere near what we thought it was. And I understand that. I understand the importance of funding the military and having the best in the world and great deterrence and all that. But I don’t believe — and I’m not there, either, so I’m saying this acknowledging myself as an outsider, but I just don’t believe, I don’t understand how Trump had to give up the rest of his agenda to get it. And when I heard him say he’s very disappointed and it’s never gonna happen again, that portends more trouble than I think anybody is attaching to it. I’m running up against a time constraint here. I’m gonna have to take a break. There’s not enough time to take another phone call. And I don’t want to say too much before I hear from a lot of you, so we’ll take a break here, come back, and your phone calls will be the focus, I want to hear your reaction and then, of course, I, at some strategic point, will jump in myself. RUSH: We have Dan in Muskegon, Michigan. Dan, glad you called. Glad you waited. Welcome to the EIB Network. Hi. CALLER: Yeah, thanks for taking my call, Rush. It seems as though the deep state has eaten our president alive and we saw the carcass on display. You know, what really bothers me is I’m just so tired of being disappointed. I’m tired. I gotta get out. I gotta get away. I gotta quit voting. I gotta quit paying attention. I’m just so tired of these guys disappointing me. What’s the answer? RUSH: Well, what do you think happened here? RUSH: Let me ask… Let me run something by you. What would be your reaction…? Just play along with me here. What would be your reaction if I told you that I think Trump thinks he hit a home run today? RUSH: Because of military spending. What would you…? What would your reaction be if I told you that? You have your reaction. You’re mad. You’re feeling disappointed, sold out and all that. What would your reaction be if you were told that Donald Trump thinks that he just did the greatest defense budget that’s ever been done. 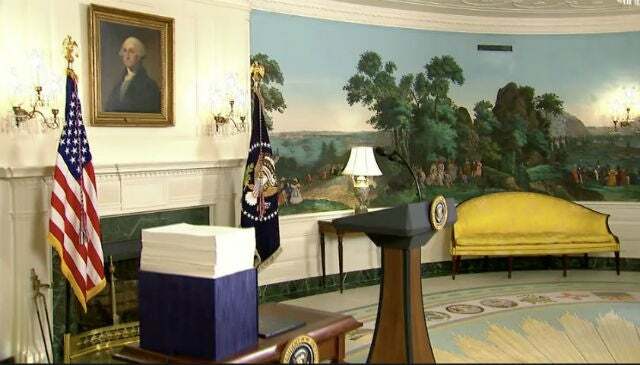 “This is the greatest day for America and the American military — and, man, it’s big and nobody’s ever done what Trump’s done!” What if he’s looking at it that way? CALLER: Well, why did he try to dress it up and put lipstick on it? If he believes this was a good deal, he wouldn’t have had so many people backing him up to try to sell it. It’s garbage. He knows it’s garbage. CALLER: He knows it’s garbage! (choking up) He didn’t… He can’t say it was military spending that won the day. It’s laughable. It’s insulting to our intelligence. I’m not goin’ there. RUSH: All right. Look, I appreciate the call. Thank you very much, Dan. Who’s next? We got time to squeeze one more? That’d be Mike in Georgetown, Texas. Mike, hi. Welcome to the program. RUSH: See, this is the whole reason for this budget. This is exactly what the establishment in Washington in the Congress — this is exactly the reaction they want. They want you blaming Trump for this. They want you thinking Trump has failed. RUSH: They want you thinking Trump has been compromised. They want you thinking Trump has been eaten up and swallowed by the swamp. RUSH: They want you think Trump has sold you out. RUSH: They want you thinking Trump can’t make a difference and nobody else can either. CALLER: And that’s what happened. You know, I watched the first five or 10 minutes of, you know, the signing ceremony, and when he was carrying on about, you know, the defense spending? Okay, great. That’s about half of it. Great. But if he had vetoed it, is he telling me that defense wouldn’t come back in some kind of post-veto agreement? RUSH: Now, don’t get me started. (chuckling) You and I are thinking the same. “Okay, veto the thing! Let’s still play game-changer. Let’s veto the thing! Let’s blow it up! Let’s game-change and let’s let them threaten government shutdown and make them finally go ahead and defund all these things!” You know, let them own it! But that wasn’t, obviously, the strategy. I just… I have to take a break. I just saw the clock. Look, I’m glad you called, Mike. We’ve got much more. If you’re on hold, you’ll make it on the air. Be with us. RUSH: We have time to squeeze in yet another call here on Open Line Friday. This is William in Ogden, Utah. Great to have you. Hi. RUSH: What would you have preferred the president do? CALLER: I think, uh… I think he needed to arm-wrestle with some of the members of Congress like Johnson and some of the past presidents did and get with the Speaker of the House, and be very, you know, determined and vociferous in his determination and telling him that if things don’t go this way, you know, I’m gonna veto it. Throw it back in their face. RUSH: Well, I don’t know, because I’m not privy to these conversations. I can only imagine what a Paul Ryan and Mitch McConnell conversation with Trump sounds like. But my guess is, “Mr. President, it’s the best we can do! We’ve got the filibuster over here and we can’t overcome it. We’re never… Mr. President, this kind of defense spending? We’re never gonna get this, and it’s just… You know, government shutdown! We don’t have the votes to overcome that, Mr. President. (stammering) It’s really the best we’re gonna do. Bah, bah, bah, bah, bah. We’re…” Who knows? I’m just guessing. But that filibuster? That’s the biggest built-in excuse these guys have for not doing anything. That’s even a bigger excuse than the government shutdown. RUSH: Bill, Scranton, Pennsylvania. Glad you waited, sir. Hello. CALLER: Well, thank you for taking my call. You’re my daily entertainment. Anyway, I’m very disappointed in him signing that bill today. I’m a registered Democrat that voted for Trump. And just going down the road of disappointment after disappointment. The health care, the tax savings, the immigration, the sanctuary cities, you know, today he signed that bill and became a member of the swamp. RUSH: Well, he didn’t seem to have a lot of enthusiasm for this today, even when talking about the great aspects of military spending contained in the budget. Did he seem high energy to you today? CALLER: No, he didn’t. And I just think that, you know, he got too many people behind him telling him what to do. But, I mean, the thing that got me to vote for him is he spoke about the things that I was concerned about. And, yeah, he got the tax credit through. You know, I don’t make a lot of money, but I get an extra $25 every two weeks in my paycheck, but the problem is my health insurance went from a $250 deductible to a thousand dollar deductible this year and it went up $64 a month, so that tax savings didn’t help me at all. You know, he got his military spending, but he’s not taking care of immigration. He’s not taking care of any of the other stuff that he talked about. And I know it’s not just his fault, but, you know, I don’t see him any different than any other politician. RUSH: Well, that’s what they want you to — I guarantee you that that is what the United States Congress, for the most part, that’s exactly the reaction they want you and every other Trump voter to have. I’m not trying to talk you out of it. I would never do that. You people here, you make up your own minds. I know you’re not a bunch of mind-numbed robots. I know that. I told you this yesterday. I haven’t said anything I haven’t already said other than the escalator business. This is exactly the purpose of this budget! That’s what so frosts me! It’s so obvious what this is! This is as transparent as anything I’ve ever seen. This is designed to create the exact reaction that we’re getting here on your phonecalls today. (interruption) What do you mean, do I blame ’em? No, no, that’s not the point. I’m telling you that I don’t think this is necessary. But of course we make our comments from far away. We are not in Washington. We’re not part of the ongoing activity there in the swamp. 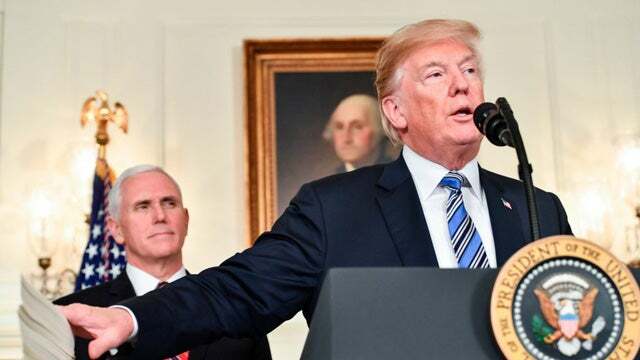 But Trump up to now has done a good job of remaining loyal to his agenda and making serious efforts to implement that which he said he was going to be working on. This seems like — well, this is no different than how any other budget legislation would get done with any other Republican president in Washington. That’s the frustrating thing to me. This is exactly how it happens with any Republican in there. This isn’t game changing. Look, folks, contrary to what you think, I don’t know Donald Trump. I’m not a Donald Trump intimate. You know, I have stated that I know him better than anybody in the media, and I do in certain public portrayals of Trump, public acts, how he interacts with his audience, how he interacts with his supporters and voters, and I didn’t see that guy today. I didn’t see the guy at the Trump rallies today. I didn’t see it. So that tells me that he knows. He is fully aware. And he didn’t get talked out of anything. Some people have said, “Some people got to him and told him –” Well, they may have gotten to him, but they didn’t talk him out of it. He did this because he wanted to do it, or felt he had to do it, whatever. He doesn’t get tricked. Not now. Maybe in the first couple of months when they were trying to run rings around him on Obamacare’s replace and repeal, but not now. Not now. There’s a reason why he did this despite knowing the pitfalls of it. And he tried to tell us today that the reason is the military, that it was too important, that he had to shelve everything else in order to get this degree of military spending. (interruption) Yeah, I know I predicted that. Well, that’s ’cause I know, I know the guy. But, I mean, I’m not an intimate in the sense that I will never be in a strategy conference with the guy. That’s what, I mean, when I say I don’t know him. I haven’t spoken to him in a year. A year to the day, in fact, today, March 23rd was the last time I’ve spoken to him. So I’m coasting along with the rest of you on all this. But, anyway, let me grab one more before we have to take a break. And it is Roy in Shepherd, Montana. It’s great to have you with us. Hi. CALLER: Thank you, Rush. Nice to talk to you. I’m a 59-year-old lifelong Republican. I’ve never voted for a Democrat, not even once. I was a Ted Cruz loyal supporter. When he went out I became a Never Trumper. My neighbor across the street, lifelong Democrat, hammered me about the values of Trump and not letting Hillary get in. My brothers, all Republicans, hammered me, told me I was handing that election over to Hillary. Changed my mind. I am not devastated by what President Trump signed. It’s not expected. It is what it is. And I have a lot of room left on my rope before I’m gonna give up on President Trump. And to all those out there that challenged me to grow up and look for the right guy, I’m gonna put that same challenge back out there to you, stay with President Trump. RUSH: Well, we’ll see what happens. Trump’s not on the ballot for a while. So we’ll see what happens in the midterms. And, believe me, there’s gonna be all kinds of stuff happening between now and then. But in terms of congressional legislation, to the extent that that affects the way people vote, this is it. These guys aren’t gonna come back and do any work. They’ve got recess here, recess there, they’re gonna go back and campaign for reelection or what have you. So this is pretty much it. I’m still trying to track down what Dave Brat means when he says they snuck something in the previous budget that says there won’t be a budget next year. I’ve had it explained to me once and I’m sorry, it doesn’t make any sense. So I’m not gonna share it with you. Okay. Okay. Okay. I will. I will. Here’s what I was told. The last budget, not this one, the one that was for a month or six weeks or whatever, that they stuck a provision in it that when we get to the year 2019, if certain spending levels have been reached, we’ll just stick with it and call that the budget. We don’t have to do a new budget if we look like we’re gonna reach the spending levels that we have already articulated, what we want for this year, if we get ’em, then we’re toast, we’re good, we don’t need to do a new budget. Now, if that makes sense to you, you’re better than I am. But that’s how it’s been explained to me. So you can see why I’m still tracking this down. May not be able to get an answer today. But we’re gonna try. RUSH: And back to the phones we go. Who’s next? This is Patrick in Orlando. 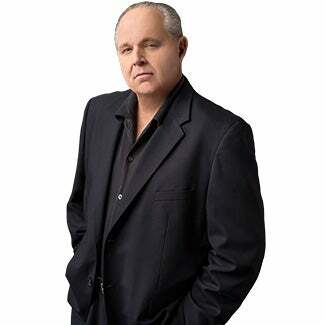 You’re on the Rush Limbaugh program at the EIB Network. Hello. CALLER: Hello, Rush. Holy cow, AirPod dittos to you. And very quickly, if Trump wants me to believe he’s being strategic about this he needs to take the Senate head on going forward. He needs to take it to the Supreme Court and end the filibuster. The way it’s being used now is extraconstitutional. This whole 60-vote thing, it’s impossible to slice five Democrats away, if you lose three, it makes no difference because they can’t get to 60. The Senate was never meant to operate this way. I believe — and I’m really interested to hear if you agree or not, that he needs to end this and he needs to take it to the Supreme Court. RUSH: Well, I don’t know if the court would hear it. The Supreme Court’s not gonna decide what the Senate can and can’t do and make its own rules and that kind of thing. Just like the Supreme Court’s not gonna tolerate the legislative bench telling it how it has to decide on cases and so forth. 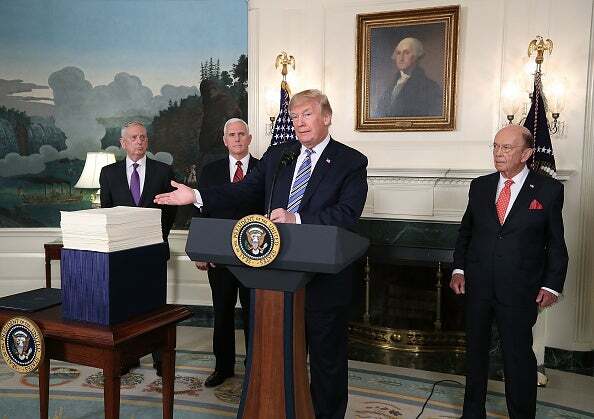 Now, Trump mentioned the filibuster at the very beginning of his remarks, after Wilbur clued us all in on what’s going on with South Korea, Trump began the prelude on the filibuster. Look, the filibuster has been around for I don’t know how long. It’s not nearly as old as the Senate is. But it’s not like it’s a new problem. After something like this that we gotta get rid of the filibuster doesn’t do any good. If we knew the filibuster’s gonna be used to the detriment of the bill, it was time to take it on while this whole thing was being put together. And the same thing with the government shutdown. Don’t forget, the last government shutdown we succeeded, Trump succeeded in getting Schumer blamed for it, and the Drive-By Media was dumping all over Schumer. And it turned out to be a one-off kind of win. RUSH: This is Kirk in Billings, Montana. Great to have you, sir. Hello. RUSH: The Democrats were never gonna offer a solution on DACA. The Democrats think they’re winning in November when they’re gonna grant amnesty to everybody, not just the kids. CALLER: Exactly. But he could have used that as a way to veto this. He could have went to McConnell and said, “I’m vetoing it, get rid of the filibuster and bring it back to me.” And like you said, he could have brought the military spending back. That would have been easy to do. So he had a lot of different ways he could have vetoed this bill and come out on top. He just won a showdown. This was tailor made for him to do whatever he wanted to do.